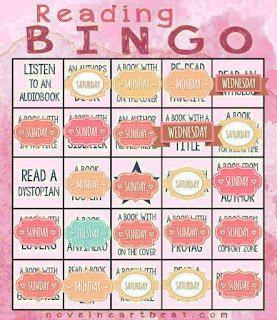 This reading challenge lasts the year. It gives you more time to cover the whole bingo card. I like the monthly ones, but find I can never get enough squares. This is one book per square. So keep that in mind when dabbing. GOT 1 LINE MARCH 17! GOT 2 LINES APRIL 22! GOT 3 LINES JUNE 10! GOT 4 LINES JULY 4! GOT 5 LINES JULY 29! GOT 6 LINES AUGUST 13! GOT 7 LINES OCTOBER 29! GOT 8 LINES DECEMBER 3! This looks like fun, and I like that it's for the year. 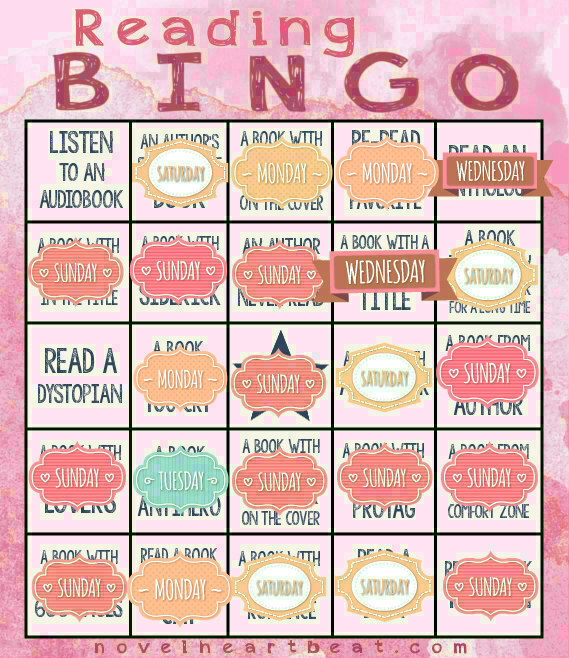 I don't think I could ever complete one of the monthly bingo cards since I'm such a slow reader! 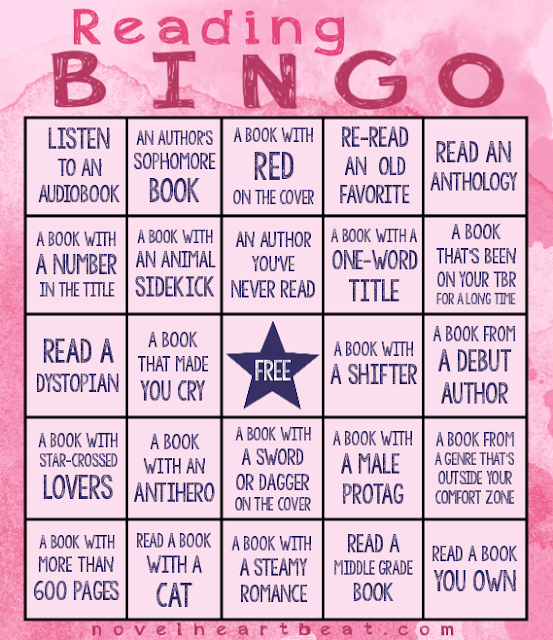 One book per square, a challenge, but they look like good topics!